Getting your stomach removed does not mean that you have to give up eating, or bodybuilding! Chad White was always a competitive person. But after a stomach cancer diagnosis and total gastrectomy in 2010, he could no longer play soccer. A self-described “very competitive person,” White needed a new outlet. White’s grandmother and aunt both died of stomach cancer, which led White and his immediate family to undergo testing. It turned out that he and all his siblings all carried genetic markers for a form of the disease. For White, cancer had already begun to spread in his stomach — cause for a total gastrectomy. White wouldn’t let the surgery affect his desire to compete. He still goes to the gym regularly and eats six healthy meals — like rice with turkey or salmon — every day. People at the gym or judges at bodybuilding competitions might not know White was living without a stomach. Through stories like White’s, No Stomach For Cancer, a nonprofit based in Wisconsin, hopes to spread awareness about this disease. “Public enemy number one for us is lack of awareness,” says Jon Florin, NSFC’s Executive Director. Stomach cancer is the fifth most common cancer and the third leading cancer death worldwide. It is estimated that one million people will be diagnosed with stomach cancer each year, and about 723,000 of them will die. You can live and eat (and be a bodybuilder) without a stomach. Individuals who have had a total gastrectomy may have to eat more often, take supplements and chew their food more, but they are not living a life without food. “You can live a happy, healthy life without a stomach,” Florin says. Most people diagnosed with stomach cancer are diagnosed later on, because there are so many other health problems related to the digestive system that can cause a misdiagnosis. This is one of the contributing factors as to why the survival rate is so low. “More often than not, when people find out that they have stomach cancer, there’s nothing they can do,” Florin says. "This is why early diagnosis is important to saving lives. You need to trust your gut." About 1 to 3 percent of all stomach cancers are related to inherited cancer syndromes. 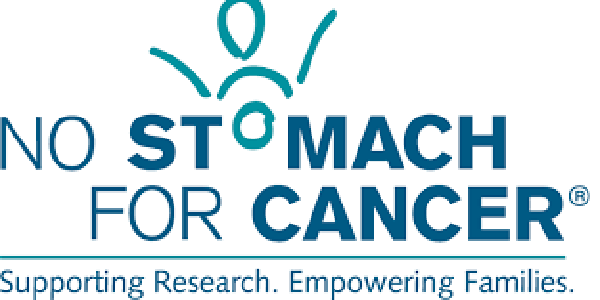 No Stomach For Cancer funds research, provides resources for patients and works to spread awareness. “We want to make this a manageable disease,” Florin says.